Google+ users with a profile attached to their regular Gmail account and one attached to their Google (s GOOG) apps account are finally able to merge those two accounts, thanks to a new tool launched by Google Thursday. The tool, which is part of Google Takeout, the company’s data portability initiative, allows users to transfer their circles from one Google+ account to another and automatically forward followers to their prefered account. However, the process itself is a little tricky: Apps users need to start the transfer through Google Takeout, after which a seven-day wait period begins. Once those seven days are over, it will take Google two days to transfer the data over, during which users won’t be able to share anything on either of their Google+ accounts, add or remove people from their circles, or block or ignore people. More info on this process can be found on a Google+ help page. Google+ for Google Apps was launched last October. The idea was to give organizations an easy way to share content within their network, without going through the chore of adding everyone to a circle. However, one of the downsides of the launch was that many users suddenly had two Google+ accounts, with some users following their private account and others following their corporate account. Google definitely seems to have high hopes for Google+ in the enterprise, which may be fueled by how the company is using the social network internally. At last month’s Google I/O, the company revealed that it has been using Google+ Hangouts for almost every meeting within the company. “We do over 10,000 Hangouts every day at Google,” explained Google’s product manager Nikhyl Singhal. I apprecitate that I can move now, but leaving a years work behind is not very attractive. Hi Mari, this article came with a lot of warnings attached. I’m thinking about trying it, but I don’t want to screw up my RSS reader settings or anything else. Have people had good success merging accounts and not screwing some other Google accounts up? Thanks. 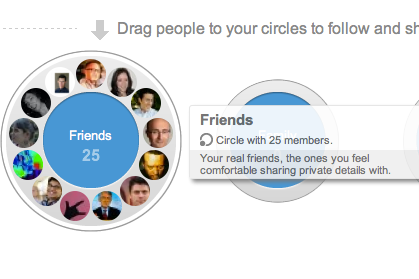 After a year of building up content and authorship, it is great that I can move my circles. And I could even go so far and copy over the amount of content I have built up – that would be an outsourced job for somebody. But all the comments shares and likes are gone … and removing a crucial part of social proof. Additionally when people link to you and your post (and I assume that is where this is coming from) it will still be to the same old account meaning we will have to brand the old account as “HAVE MOVED!!!”. This is indeed a very handy tool but losing your post data is a huge deal for me so I will resist merging my accounts. I initiated the process and will let you know how it goes! Wait, is this a solution to that dreaded “conflicted account” issue that made me create a second google plus account using my facebook email address? If so, wow, finally!